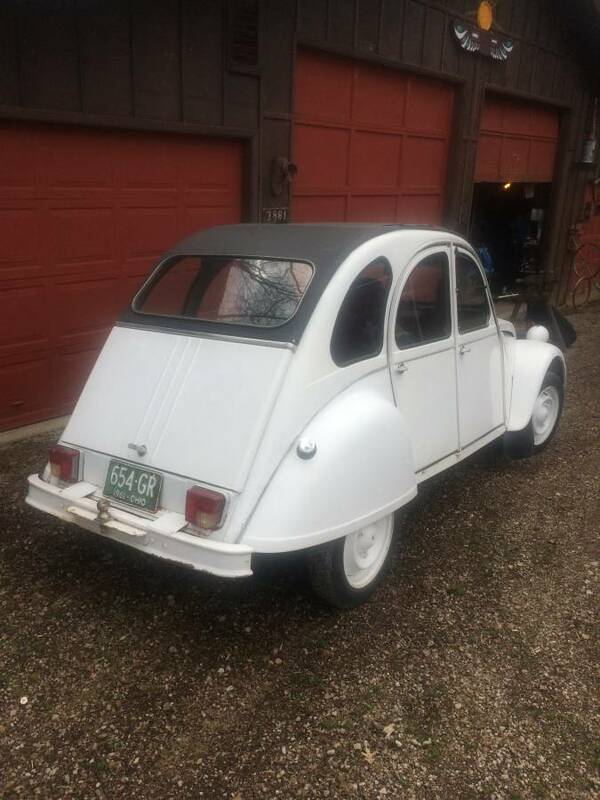 The Citroen (Citroën) 2CV (en français -- deux chevaux) was a front drive economy car that had prototype builds starting in 1939 with innovative features like a flat-twin aircooled engine and seats that could be removed from the car and used as picnic chairs. I think that enough time has passed that we can all forget about how many times we needed to wait for a tow truck or how much money we spent at Pierre's French Car Repair & Seafood Buffet -- and agree that this would be awesome to have as a fun weekend car. 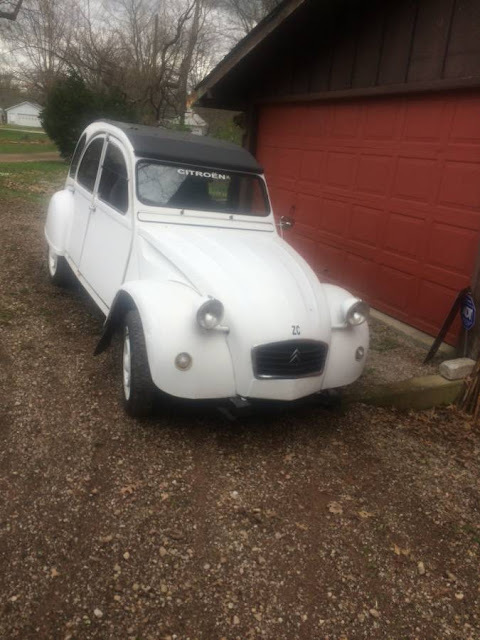 Find this 1961 Citroen 2CV offered for $7,500 in Cincinnati, OH via craigslist. Titled as a 1961..... has all the later stuff..... like seat belts.... 602 cc motor. Runs and drives good...... Parts are easy to get. Have had this car for many years. just about done installing new brakes on front. DT peeps---question for you, and it's completely off topic from this car, but I don't know where else to ask it. We seem to be getting massively spammed lately with bots that attempt to make relevant commentary, and then insert a random hyperlink. The odd thing is that they always end up bumping 3-5 year old threads. What's the mechanism they're using to identify those particular posts and target them? Again, I'm not complaining, just legitimately curious! Hi fellow and thank you for your good conversations, the Cadillac Cimarron is a front-engine, front-wheel drive four door compact sedan manufactured and marketed by Cadillac for model years 1982-1988 — over a single generation. LMAO....I wish we had a +1 system around here, because I'd have given you as many as it let me.